A new class of porous membranes developed by researchers at Oak Ridge National Laboratory (ORNL) holds promise not only for more efficient biofuels production but also for similar improvements in the biochemicals, pharmaceuticals, petrochemicals, and vapor/gas separations industries. The new technology targets improvements in separations such as ethanol from water, or acid and water separations to create better bio-oils that can be used to make biofuels and high-value chemicals. Currently, separations can represent as much as 70% of biomass processing costs. The development of an efficient, sustainable US bioeconomy could increase jobs, particularly in rural areas, while improving energy security and decreasing greenhouse gas emissions, the researchers note. The new class of inorganic membrane products developed at ORNL is the result of nano-engineering of pore size and surface selectivity to separate molecules in both the vapor phase and the liquid phase with higher throughput and less fouling of pores, which could be especially useful in reducing the price of bio-ethanol, ethanol–gasoline blend fuels, and drop-in fuels from bio-oil processing. Recent advances in nanotechnology and materials science have made the membrane improvements possible, most notably the invention of superhydrophobic (water-repelling) and superhydrophilic (water-absorbing) coating nanotechnology. The super-hydro-tunable high-performance architectural surface (HiPAS) membranes were invented by a team of researchers led by principal investigator Michael Hu of the Nanosystems, Separations, and Materials Research Group in the Energy and Transportation Science Division at ORNL—work which led to an R&D 100 award in 2014. Testing and improvements continue today, with the most recent research demonstrating success in both liquid and vapor separations. The HiPAS membranes act as an energy-efficient alternative to the distillation process. The inorganic membrane’s larger pore sizes, tailored surface, and architecture advantages drive never-before-achieved flux rates (throughput) across membranes, sustaining characteristics key to repetitive or continuous operation under high pressures and temperatures. ORNL’s Laboratory Directed Research and Development Program and DOE’s Office of Energy Efficiency and Renewable Energy, Bioenergy Technologies Office supported the project. Contributing researchers include Brian Bischoff, Marissa Morales, Gyoung Jang, and Timothy Theiss at ORNL. Chaiwat Engtrakul and Mark Davis of the National Renewable Energy Laboratory (NREL) contributed to the evaluation of the membranes in the biomass conversion process. Traditional membranes suffer from a permeability–selectivity “trade-off,” the researchers note, meaning that an increase in selectivity comes at a cost of reduced flux, or throughput. 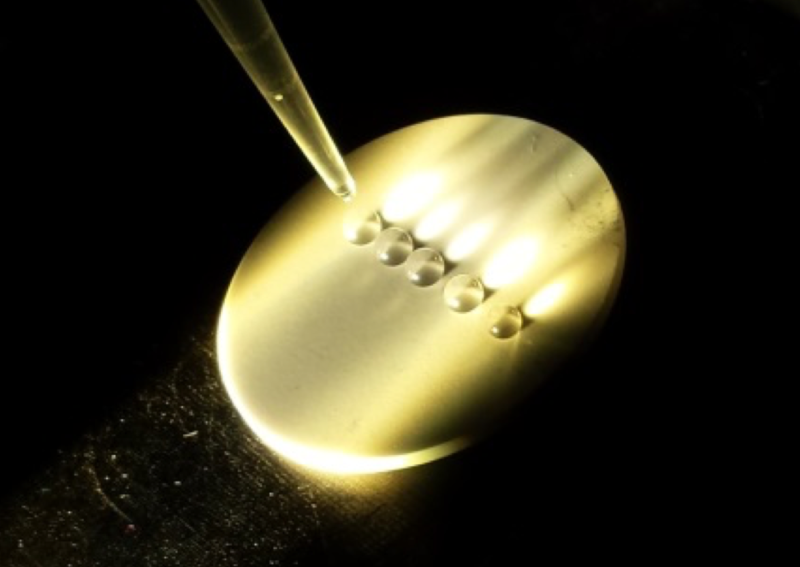 When using new superhydrophobic or superhydrophilic coating nanotechnology, the pore size in the membrane can be larger, which increases throughput while preserving selectivity and preventing the clogging or “fouling” of pores. In a study outlined in a recent issue of the journal Separations Science and Technology, the researchers note that traditional membranes such as zeolite-based ones typically have a pore size in the sub-nanometers. But pores in the new HiPAS membranes are sized up to ~10 nanometers for vapor separations and up to several microns for liquid phase separations. 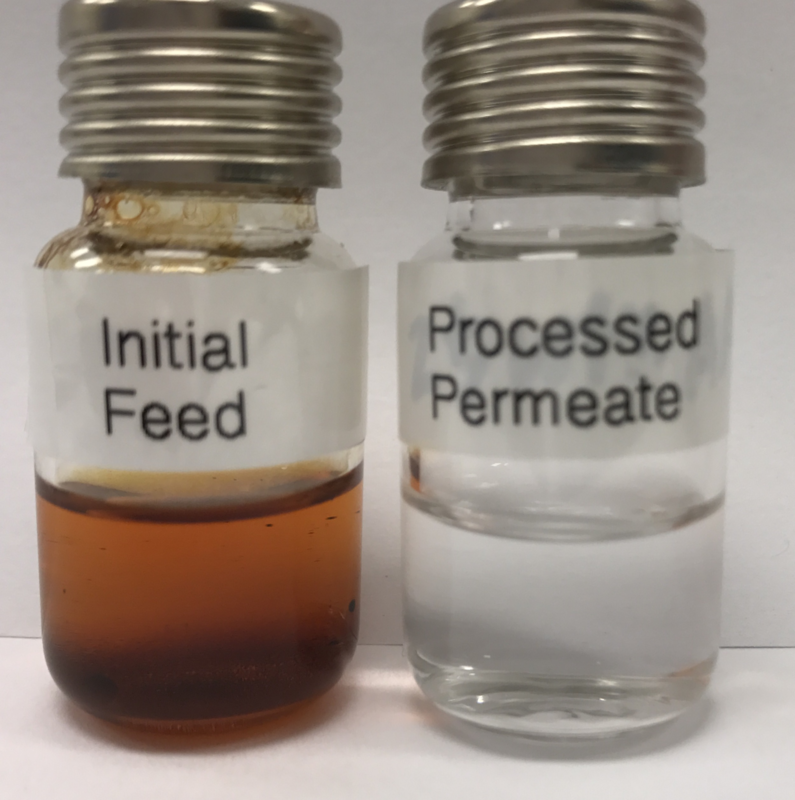 The researchers demonstrated the HiPAS membranes’ effectiveness in pyrolytic bio-oil processing, or the thermochemical conversion of biomass, showing high selectivity in both vapor and liquid phase separations. ORNL conducted the evaluation of the membranes for liquid phase separations. Membrane effectiveness for vapor phase separations was measured using NREL’s laboratory-scale reactor systems and molecular beam mass spectrometry capabilities. “Traditional membranes take advantage of pore size exclusion, when pores are very small, less than 1 nanometer. That has limitations on flux, or productivity,” Hu said. “In this new process, we take advantage of new nanotechnology coatings and can make a membrane in tubular or planar form, and with a pore size of 10 nanometers—so an order of magnitude higher flux could be achieved. “We continue to improve throughput and the membrane design, scaling up from a single tube to a module experiment to increase the flux per surface area, and additive manufacturing could also play a role in this technology advancement,” Hu said. More than 50 membrane tubes have been fabricated for further materials research, testing, and process development. The research has already attracted interest from the private sector, including biofuels producers, he noted. One of the biggest surprises from the research is that the scientists were able to apply the same method to vapor phase separations. “The mechanism for vapor phase separations is different from the liquid phase, but we have been so far successful on dewatering of fast pyrolysis vapor mixtures,” Hu said. Researchers observed surface-enhanced capillary condensation using the superhydrophilic HiPAS membrane under vapor-phase conditions. The membrane pores were completely filled via capillary condensation, which is essential for regulating and enhancing membrane selectivity. When researchers tested a vapor mixture of water and toluene, they observed about an 85% reduction in the hydrocarbon concentration. In another paper published in October 2016 in Energy & Fuels, Hu and the other ORNL and NREL researchers provide more detail about the promise of the new membranes in hot vapor separations, after testing them in the production of bio-oils from pine tree biomass. High water content in biomass has been a challenge in the separations process, and one in which the new coated membranes with larger pores are particularly suited to solving. In the experiment, HiPAS membranes proved their de-watering potential, for instance reducing 50% water saturation down to about 4%, the scientists noted. “This is an exciting technology with multiple applications. The key now is to find a suitable insertion point and scale up this technology to help lower the cost of biofuel production,” said Tim Theiss, manager of the Bioenergy Technologies Program at ORNL. The researchers have also been involved in a new multi-lab separations consortium formed in late 2016 and designed to coordinate research among eight DOE national laboratories. Funded by DOE and led by Argonne National Laboratory, the so-called Separations Consortium seeks to move cost-effective, high-performing separations technologies to market.